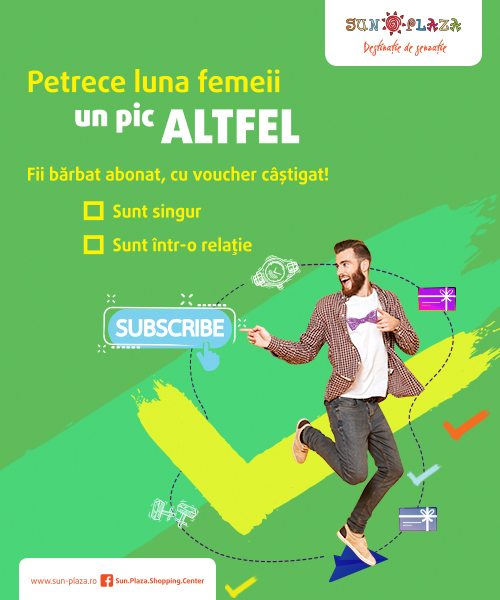 If you have any questions, please contact SDCS – Calea Văcărești, nr. 391, Bucharest, Sector 4. The Sites provide you with access to information about services and activities at our Centre, including those provided by third parties (the “Services”). Although we update our Sites regularly, information can change and sometimes could be out of date. You promise that all details and information you provide to us for the purpose of registering on the Sites and using the Services are correct and that you will update them if they change. We grant you a limited licence to access and use the Sites solely for your personal, non-commercial use. You agree not to copy, store or use the Sites (or any part of them) in any way other than their intended use. You acknowledge that all intellectual property rights in the Sites (which includes the content and the way it is laid out) belong to us or our licensors and you have no rights to use them outside of the Sites. • Act lawfully: don’t act in any way that could be unlawful or encourage others to act unlawfully. In particular, don’t infringe intellectual property rights, don’t reveal confidential or sensitive information and don’t engage in any criminal offence. • Act responsibly: don’t pretend to be someone else or act in any way that is harassing, defamatory, threatening, obscene, abusive, racist, sexist, offensive or otherwise objectionable or inappropriate in context of the Sites. • Act reasonably: don’t use your access to the Sites in any way that may affect the running of the Sites or any network or systems connected to them. Remember, interfering with others’ websites, apps, networks or systems can be a criminal offence. We provide users with access to social media content (including but not limited to our Twitter account and Facebook page) (“Social Media Platforms”), which may also be available via the Sites. Social Media Platforms have their own terms and conditions, privacy policies and age restrictions. You promise us that you will comply with these when using the Sites to interact with Social Media Platforms. We are not responsible for the processing or handling of your data by Social Media Platforms. You grant us and our affiliates a non-exclusive, royalty-free right to use, reproduce, modify, adapt, publish, distribute, perform and display (with the right to sub-license) any User Content you supply (either directly or via Social Media Platforms), along with any information about you submitted with your User Content, if we choose. If any member of Sun Plaza’s management team is subject to any claim, or request for information about your use of the Sites, we may disclose information about you at our discretion. We can do this without telling you. You acknowledge that the Sites are provided as a convenience to you. We do not make any promises about the availability of the Sites or the content or functionality of them. Sometimes, for technical, legal or operational reasons, the Sites may not be available. We may suspend your access to the Sites at any time in our discretion. We are not responsible to you for any damages, losses, costs or expenses you suffer arising out of your use of the Sites or if the Sites are unavailable, do not function as anticipated or are inaccurate. We recommend you should take regular back-up copies of your own data and use the latest virus checking software. The Sites contains links to other websites which are independent of Sun Plaza. We are not responsible for the contents of any third party websites or any goods/services provided to you by a third party. We are not responsible to you for damages, losses, costs or expenses of any sort incurred as the result any third parties who you may interact with in connection with your use of the Sites or the Services.